Wise Owl Glaze is one of the most amazing and dimension creating finishes. So many folks are confused about the process so I decided to share application and technique details. You may be doing it wrong, but you may be doing it right! Read on to find out. What is glaze? 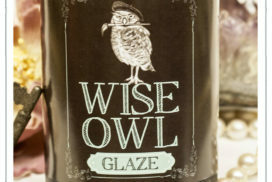 Wise Owl Glaze … Continue reading Wise Owl Glaze -are you doing it wrong?